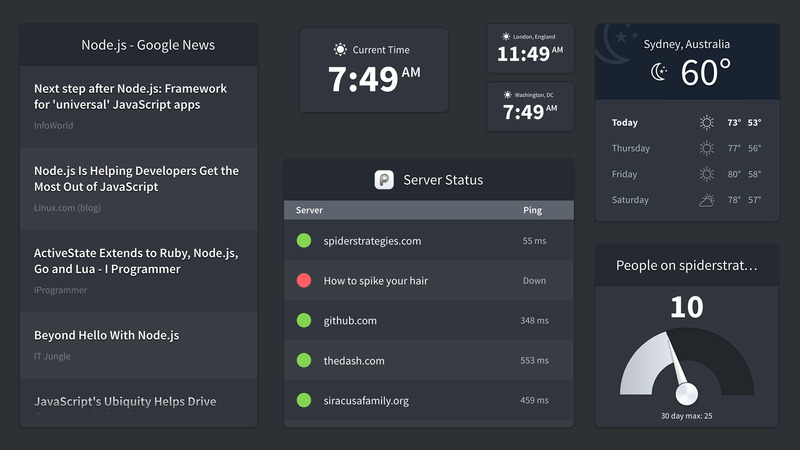 Dash is realtime dashboards for your website, your business, and your life. 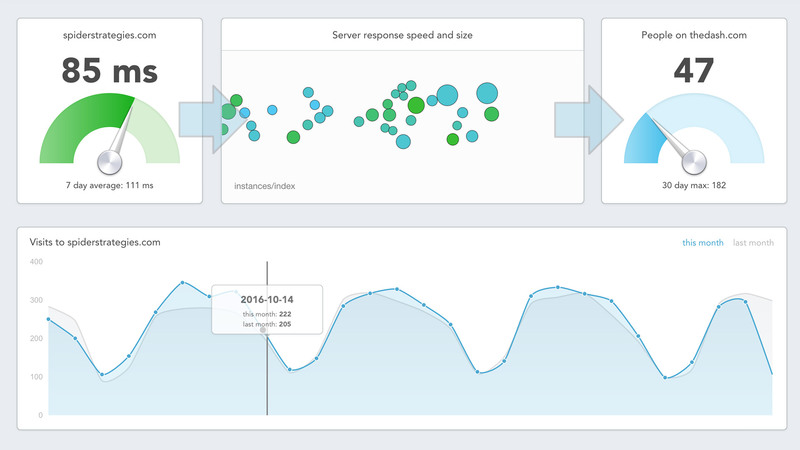 Add widgets like charts, tables, and gauges to your dashboard. You can resize and move everything on a freeform canvas.